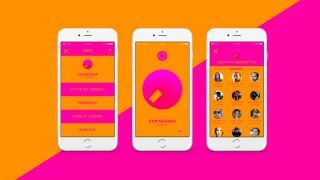 Jawbone made music mobile with the Mini Jambox and now it's trying to make it social too with the help of a new app called DROP. At its core it's a one-touch player which streams an endless playlist of music from Spotify or Rdio based on songs you like - great if it's just you listening. But tie it to your Twitter account and suddenly your friends can get in on the action too. All they have to do is tweet you the name of a song that they want to hear and DROP will automatically update its playlist based on requests, so it could be a great way to discover new music and an even better way to make sure everyone gets to hear what they want without having to spend the whole time manually taking requests. The app itself is free, though currently only available on iOS and it requires a Spotify Premium or Rdio Unlimited subscription to use. The Twitter implementation is a great idea but there could soon be any number of apps with enhanced Twitter features thanks to Twitter Fabric, its new mobile development platform which DROP seemingly makes use of. Plus we've met our friends... and they're not the type of people to recommend new music. It's going to be wall to wall Bieber and Daphne & Celeste before you know it. Jawbone is about more than music, as the Jawbone Era shows.